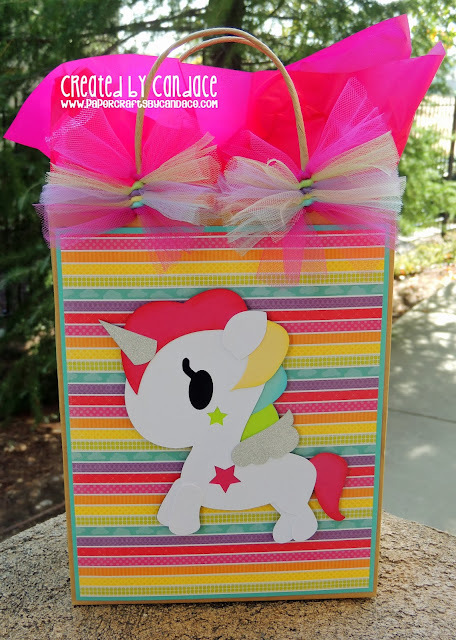 Paper Crafts by Candace: SVG Cutting Files Challenge: Birthday!! SVG Cutting Files Challenge: Birthday!! Happy Friday!! Today marks a new Challenge over at SVG Cutting Files. This months challenge theme is Birthdays!! One of my nieces just had a birthday and it was themed Rainbows and Unicorns. I made her this Bag to put her present in. 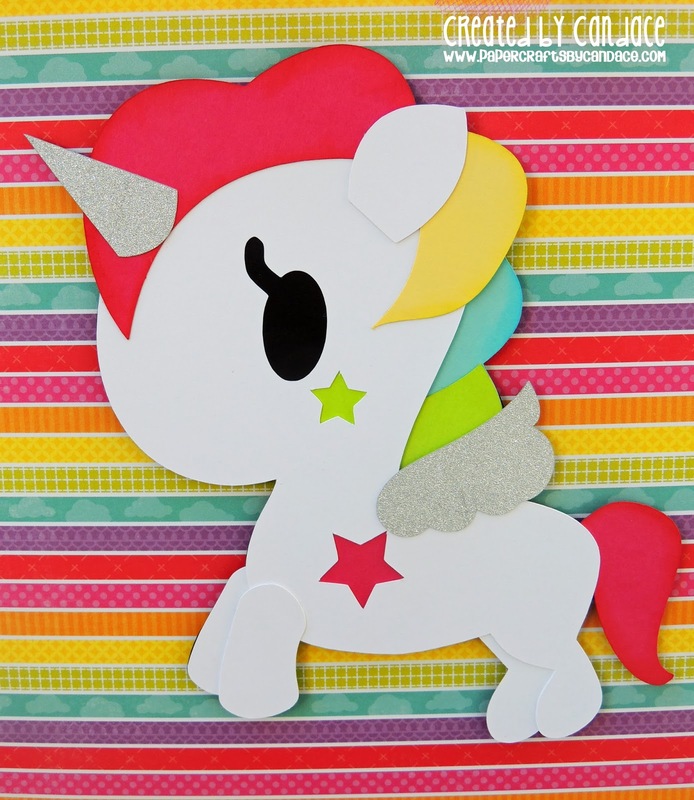 The unicorn is from Tokidoki and you can get the SVG FREE for participating in this months challenge. Check out the details here..
And then of course I had to make matching little favor boxes!! 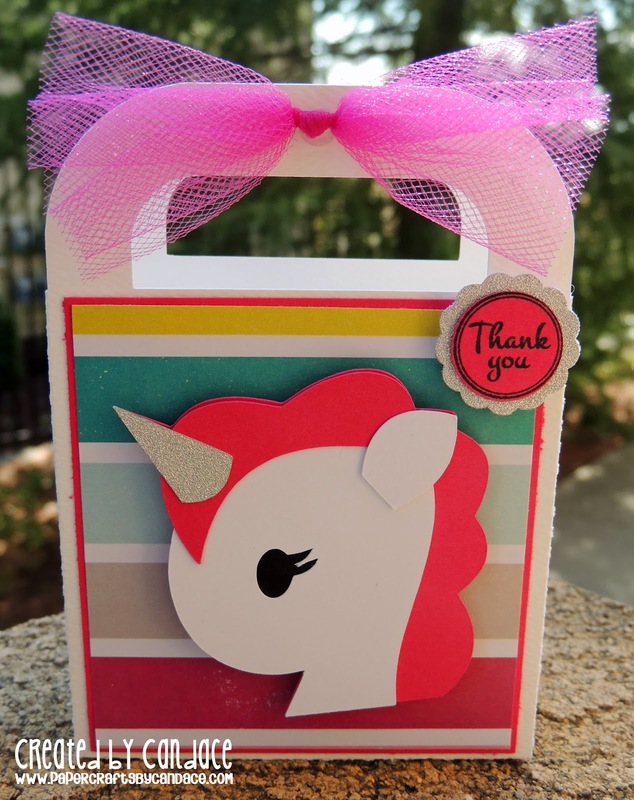 I used the Handle Box from SVG Cutting Files and Thank You is from Jaded Blossom's Friendly Candies. This is juts Precious!! Love your Thanksgiving blog look! Love that unicorn! So cute! Me encanta el unicornio! cómo puedo obtener el archivo? November stamp release day 1: FARM! Jaded Blossom Monthly Challenge: Thanksgiving!! Day of the Dead blog hop!